19 Best Toddler Toys - I Can Teach My Child! As a mom to three kids, we have been around the block when it comes to owning toys. My kids are hard on toys…if they are cheaply made they don’t tend to last more than a few days around here (not for a lack of my lecturing about taking care of what we have, mind you). Last year, I shared several of our favorite toys for babies along with toys for boys ages 5-7. Since Little Sister (21 months) is now officially considered a toddler. I thought I would share some of our favorite toys for toddlers! Many of these we currently have, a few we will be purchasing this year, and some we have enjoyed at other locations such as friends’ houses or church! These blocks are amazing and are on our toy gift wish list! They might look like ordinary wooden blocks…but they stick together because they are magnetic! The magnets are placed inside the wood, an important safety feature. The manufacturer says they are appropriate for children 6 months+, but I would still be hesitant to use the smallest cubes with toddlers who still put toys in their mouth. The only bad thing about these blocks is that they are pretty pricey. They are extremely well-made, however, and would last for years to come. This is a toddler toy that has miraculously survived all three children in our household. It has been a favorite of my children and guests alike. And as they have grown, I have even transformed it into a learning toy! These blocks are so beautiful and are a great addition to the traditional block sets for toddlers. Plus, they could be used on a light table for another form of play! Our church has a set of these Magna-Tiles and my kids love them. Technically the manufacturer only recommends these toys for 3 years and older, but I would be comfortable letting my nearly 2-year old use them as long as she was being supervised. Magnets as toys can be extremely dangerous so please use extreme caution and vigilance with children who still put things in their mouths. This is a great basketball goal for toddlers and perfect for indoor or outdoor use. We have had this goal for years. It is plastic (and sort of cheaply made), but it can be easily adjusted to six different heights and won’t hurt it is accidentally comes crashing down on someone (which we know from experience). We have the cow version of the Wheely Bug and it is a favorite toy of our kids and other kids who come to our house. I love that this toy also comes in a variety of other animals (hedgehog, ladybug, pig, mouse, tiger, and bee). This is currently one of my toddler’s favorite “toys” to play with. My daughter loves getting out the color paddles and matching them to items around the house. As she gets older, we can use them to illustrate how colors mix together to form new colors! This toddler toy gets played with at our house every single day. Because of the cylinder shape, it is an activity that parents should participate in as little ones will get frustrated if it keeps rolling away while they are trying to put the shape in the correct spot. I actually consider this to be a positive aspect of this toy, as it gives me the opportunity to talk about the various shapes and colors. I debated between this one and the Melissa & Doug Shape Sorting cube, but decided against the cube after reading many negative reviews. Wooden puzzles are a wonderful toy for toddlers and helps them to develop important cognitive skills such as matching and spatial awareness. The specific type of puzzle will be dependent on the age and ability of your child. The puzzle above is appropriate for a 2-year old while beginning jigsaw puzzles would be more appropriate for a 3-year old. This is on our Christmas gift list for our toddler this year! We used to have a fruit-cutting activity similar to this, but it was made with Velcro which eventually wore out. This set is made with magnets and is very durable. This is another item on our toddler toy wish list for Little Sister. A play kitchen is a wonderful way to encourage pretend play for boys or girls! My neighbor has this set and her boys and they both loved playing with them, especially outside in the dirt! They are small, so they are easy to take along as well. 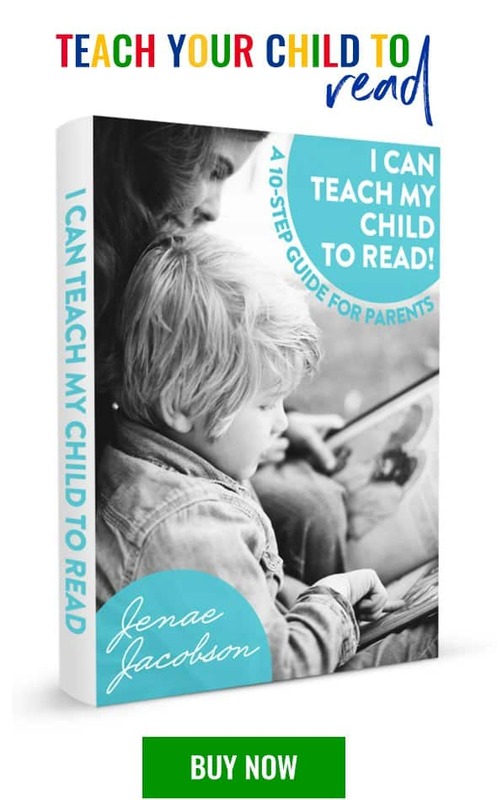 In my opinion the best way to encourage language development in your child is to read for at least 20 minutes every day and talk about things you do throughout the day. Here are a few other ways. From my personal experience as a mom of three, I have found that learning animal sounds as a young toddler is a huge stepping stone to language development. Once my children started saying animal sounds, they quickly began saying many other words as well. We have a farm set nearly identical to this one and it has been a favorite toy for all three of my kids! Just like the farm animals are great for learning animal sounds, this play center is great for recreating and talking about various places around town. My neighbor’s boys have this and it has been a favorite toy for the last couple of years! Music is a wonderful tool for encouraging language development with toddlers. In addition to learning important components of language such as rhythm and rhyme, music also has been proven to use many different parts of the brain. Finger plays, simple songs, and exposure to various musical instruments are all excellent ways to promote language development! 19. Books, Books and More Books! Although technically not “toys”, I couldn’t write this post without including some of our favorite books! First published November 2015. Updated 2018. Brain teasers like the V-Cube are also great for child development and learning! I’ve never heard of that, I’ll have to look into it! Ice Cream kit is interesting toy for my Toddlers. Because my kids love ice cream and if they play with ice cream kit they really have a fun with them. Superb informative & brilliant article. So much smart also. Thanks a lot for sharing. Keep this up. Amazing love all these toys i want be a kid again. Lovely these toys are so sweet.